In his Friday Sermon of November 11, 2011 Khalifatullah Hadhrat Munir Ahmad Azim Sahib (atba) of Mauritius spoke on a law of nature- the linkages between individual enterprise and societal progress. For, the flowering of individual capabilities and qualities are the bedrock on which nations advance swiftly to progress and achievement. The Khalifatullah (atba) reminds us that physical and intellectual development cannot be separated from moral and spiritual progress. Hence, believers are urged to pay attention to the holistic development of their skills and traits covering the entire spectrum of capabilities and faculties: “develop your talents to the highest degree”, exhorts the Khalifatullah. The real achievements of a man are the faculties granted to him by Allah, and the total sum of collective achievements of individuals constitutes the real wealth of the nation. Every species to some extent reflects the attributes of God, but most of these reflections occur in humans. Therefore, the human species is considered the noblest of creation. Man is endowed with different qualities, each contributing in a different proportion to his personality. His faculties are inherent physical, intellectual, moral and spiritual, but can be deployed gradually since many factors affect their development. With its mother the child is already beginning to exercise its powers (faculties) only to be helped (afterwards) in its development by his father. A healthy environment will facilitate its evolution to a large extent. However, man shall only be able to showcase his inherent talents and abilities through his own efforts and attendance. All men have not inherited the same capabilities and these capacities are not unlimited. [In an article published at Le Mauricien Newspaper on November 07, 2011 Khalifatullah Hadhrat Munir Ahmad Azim Sahib of Mauritius reflected on the spiritual significance of ‘Qurbani’, an important component of the festival of Eid-ul-Adha in Islam. Besides commemorating an instance of extraordinary submission to the Will of Allah displayed by two servants of Allah, Qurbani underscores the need for every human being to be ready to do sacrifices in the pursuit of attaining salvation and the pleasure of Allah, points out the Khalifatullah. For the benefit of everyone, we are reproducing the article below]. Hajj or the pilgrimage to Mecca for the performance of spiritual rites is one of the most sacred obligations in Islam. An able Muslim has to undertake the pilgrimage at least once in his or her lifetime. The Holy Qur’an describes the Hajj in a manner that reinforces spiritual brotherhood, universal solidarity, and oneness of humanity symbolizing the essential unity and egalitarian spirit of all mankind worshipping the Lord Almighty. And yet, the Mullahs have instigated the mundane caretakers of the ‘Ancient House’- (‘Baitul Aqiq’) so much so that Muslims who believe in the Promised Massih Hadhrat Ahmad (as) are prevented from performing their spiritual obligations at Mecca. This is a patent subversion of the Qur’anic idea of Hajj which seeks to unite humanity under the banner of Islam, rather than divide the world on the grounds of sectarian prejudices and jaundiced perceptions. It is only logical to consider that irrespective of what the mundane caretakers of the the ‘Ancient House’ may prescribe, the original Qur’anic perspective of uniting mankind at Mecca shall have to happen, especially with the advent (and departure) of the Promised Massih (as). Now that Allah has sent a Chosen Messenger of His in our times in the personhood of Hadhrat Munir Ahmad Azim Sahib of Mauritius, there is a valid spiritual expectation that the promised uniting of all humanity under the symbolic banner of Hajj shall take place in the present era itself. Allah knows Best. 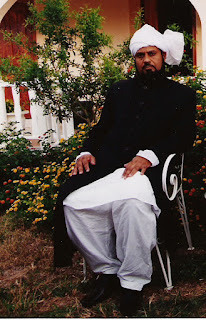 Ii is instructive to note that in his recent speeches- November 04 & 06, 2011- on the subject of Hajj and Eid, Khalifatullah Hadhrat Munir Ahmad Azim Sahib of Mauritius made certain pertinent observations based on what Allah the Most High has informed him through revelations. 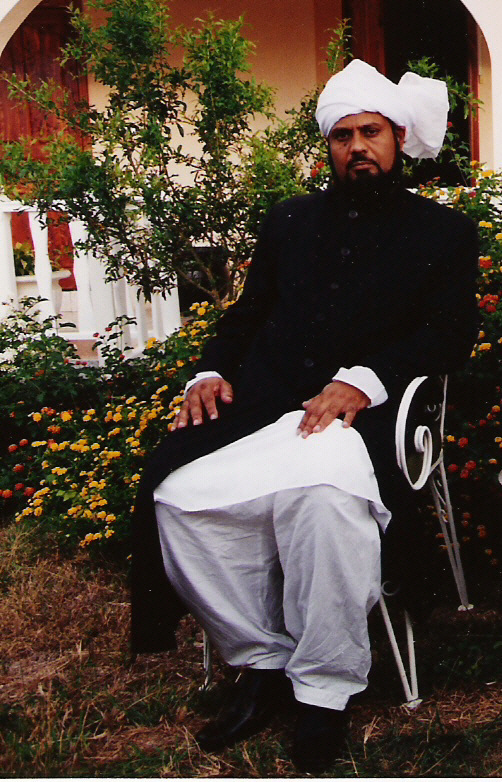 [The series of articles on the family and spiritual background of Hadhrat Munir Ahmad Azim Sahib of Mauritius looks at his life before the Divine Call. The previous instalments in the series were published here at the Sahih Al Islam Blog on October 24 & 26 & on November 03, 2011. While the first two parts detailed the family lineage and provided an account about the righteous parents of the Khalifatullah, the third instalment dealt with the events of his childhood days, especially his Thabligh encounters against the spiritual opponents of Ahmadiyya Islam and his enthusiasm and enterprise in spreading the message of Islam among the people as a young man. The current instalment chronicles the services of Hadhrat Munir Ahmad Azim Sahib to the Jamaat of the Promised Massih Hadhrat Ahmad (as). In his intrinsic quest for rendering services to Islam, he preferred to work with the organizational framework of the Jamaat-e-Ahmadiyya, rather than pursuing job opportunities elsewhere. It is highly unusual for someone who has not graduated from any Jamia to become a full-pledged missionary of the Jamaat. Yet, Munir Ahmad Azim Sahib went on to serve and become highly effective and successful in his Dawa works in Mauritius and outer Islands so much so that even the Caliph of the day was highly appreciative of his selfless services to the Jamaat. Through out this period, his devotion to the cause of Islam enabled him to transcend the pettiness and decadence he observed and witnessed among the employees of the Jamaat, including hierarchical superiors within the Ahmadiyya establishment. The article further provides extracts from a recent speech - intensely moving, retrospective reflections on those eventful years-by the Khalifatullah]. 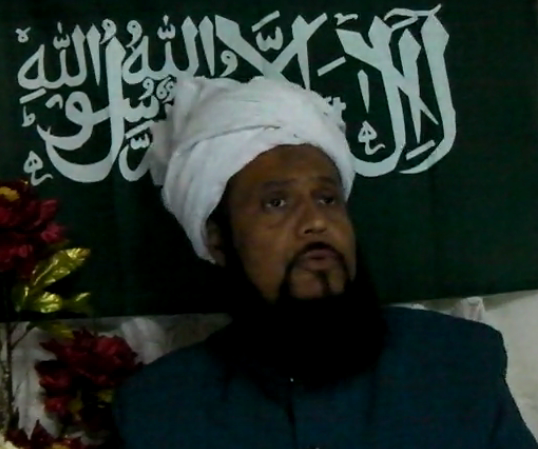 [This is the third article in the series- based on a recent, authorized biographical essay- on the family background of the Khalifatullah Hadhrat Munir Ahmad Azim Sahib of Mauritius. The first two parts in the series were published here at the Sahih Al Islam Blog on October 24 & 26, 2011. The events chronicled here provide a fascinating glimpse into the growing up years of the man who would eventually be raised to the august spiritual position of Khalifatullah and Messenger of Allah. Born into a modest and righteous family of Ahmadi Muslim lineage which had made seminal contributions to the propagation of the message of the previous Promised Massih Hadhrat Ahmad (as), little Munir Ahmad Azim was drawn to a spiritual life from very early. As we shall see, the events narrated here bear witness that he is virtually a born soldier of Islam. For, he took to the defence of the faith and the Ahmadiyya view of Islam in his Tabligh encounters while still being a child! In spite of the many trials he faced and endured in material life, the young Azim was enthusiastic about explaining Islam to the people and derived much personal pleasure and satisfaction in the work. He went on with his spiritual work even in an environment of outright hostility and utter indifference, shutting the mouth of spiritual opponents with consummate perspectives and clinching arguments, as his Thabligh experiences across the sectarian and religious spectrum testify].